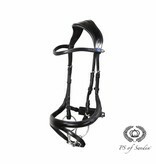 The Jump Off Revolution is another innovative patent pending design from PS of Sweden. 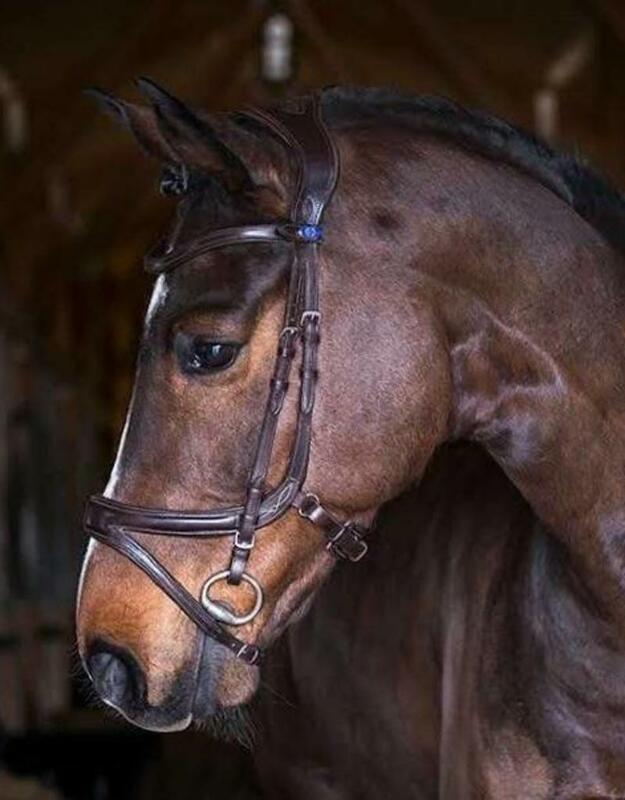 This anatomical bridle has been designed mainly for jumping and schooling. 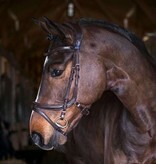 The design of the noseband allows full freedom for the cheekbones and the sensitive nerve endings. 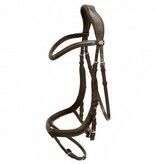 Its upper part is fastened by regular pullback fastening. 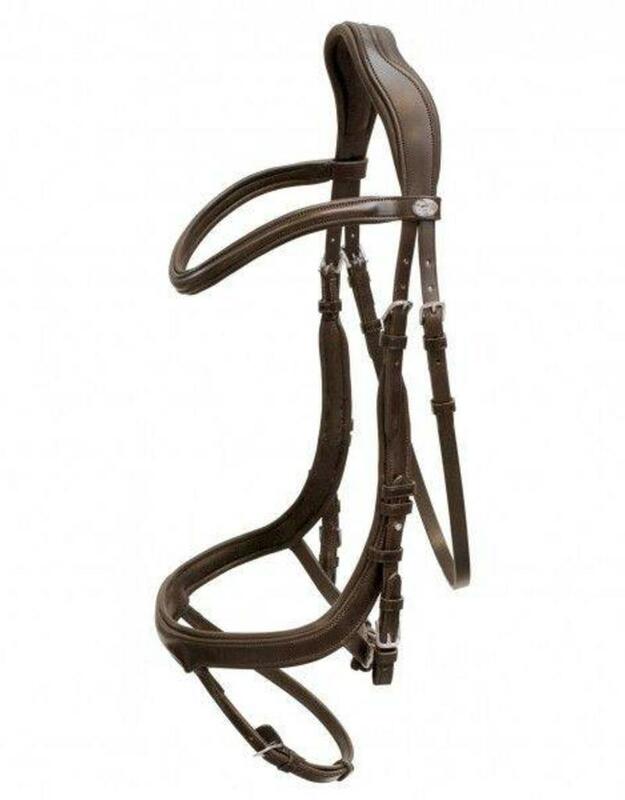 The shape of the patent pending headpiece reduces the pressure behind the sensitive ears and top of the neck of the horse. 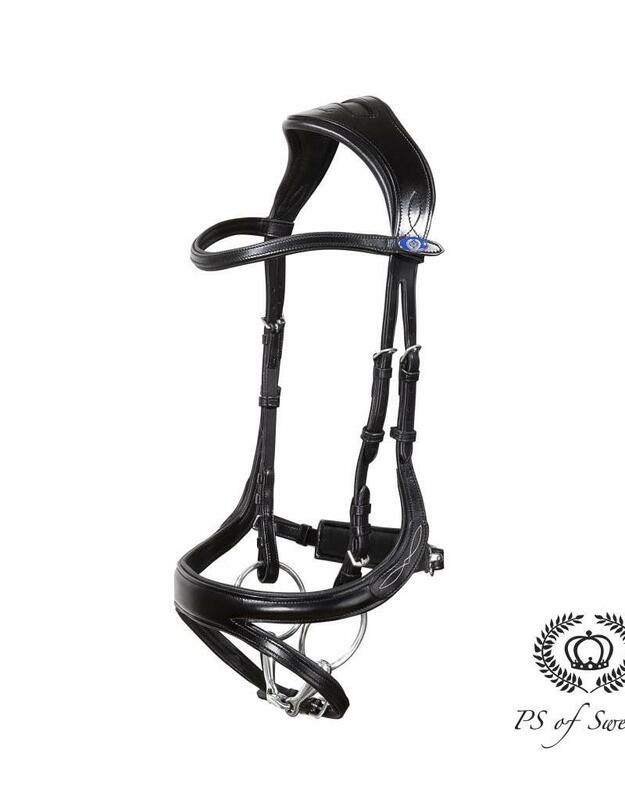 The extra padding relieves pressure on the poll. 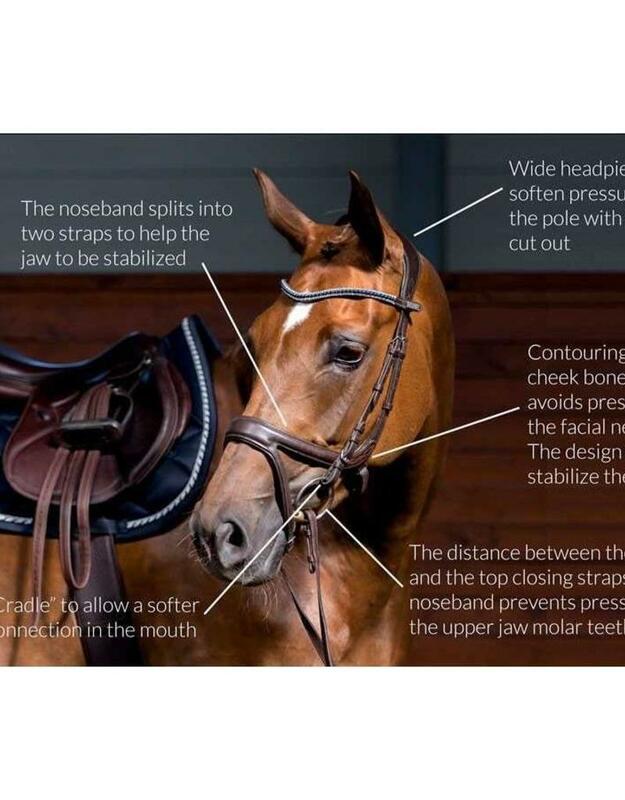 The cheek pieces have PS own, patent pending elastic insert which we call a “cradle” (polyester), that allows the bit to be suspended in the horses mouth. This helps to further relieve the pressure from the poll. 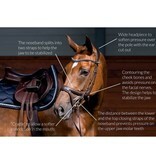 If the horse prefers the bridle without the cradles, they are designed to be easily removed by simply cutting them off.